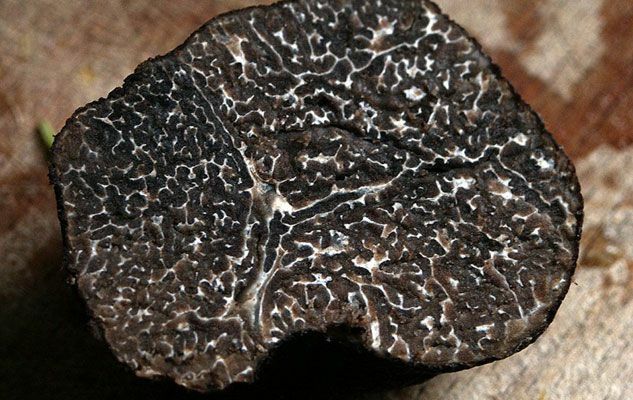 Every fall during truffle season, the city of Alba, in Northwestern Italy, holds a truffle fair that attracts connoisseurs and foodies throughout the world. The most anticipated event of the fair is the Worldwide Auction of White Alba Truffle, which usually takes place the second Sunday of November in the medieval Castello di Grinzane Cavour. Only the highest quality and biggest specimens are sold at this auction. Bidders located in the world’s most important cities are connected through satellite. The eleven specimens of “tuber magnatum pico” (i.e. white Alba truffle) offered in yesterday’s auction have collected a record 230,000 euros (about 322,000 $). Apparently, one truffle weighing 350g has been bought as a gift to newly installed New-York City Mayor Bill De Blasio. The finest pieces, 2 truffles weighing together 950 grams, have been sold for 90,000 euros (about 126,000 $) to a famous Chinese writer, located in Hong Kong, who prefers to remain anonymous. Proceedings from the auction go to various charities and institutes. By the way, at about 95 euros per gram, these “jewels” are worth more than double the price of gold!